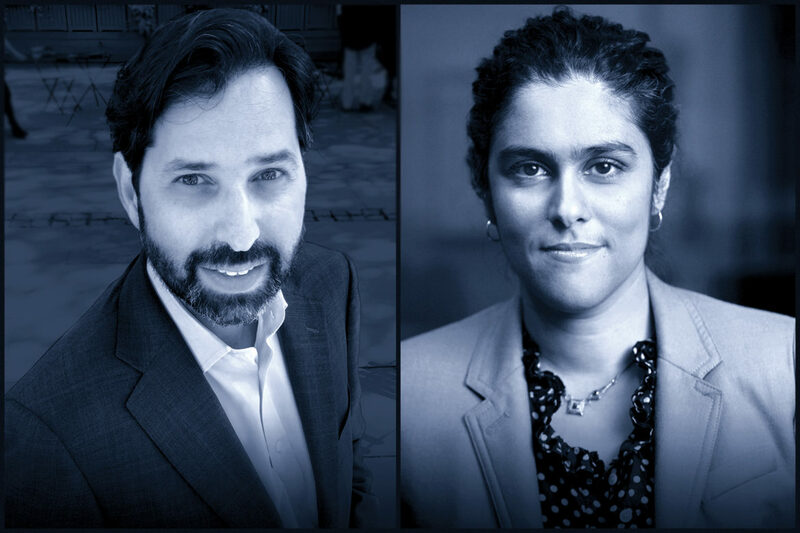 WBUR in Boston announced Wednesday that Meghna Chakrabarti and David Folkenflik will take over as co-hosts of its weekday talk show On Point, produced at WBUR in Boston. Chakrabarti will host the show Monday through Thursday from Boston, and Folkenflik will take over Fridays from New York City. The new hosts will begin Aug. 20. They replace Tom Ashbrook after he was dismissed by Boston University, WBUR’s licensee, in February following an investigation that found he had created an abusive work culture through bullying, verbal assaults and intimidating actions. WBUR reported Wednesday that several public radio station managers who asked not to be identified said they have been frustrated by the lengthy search for Ashbrook’s replacement. “We’re excited for Meghna and David to carry on the tradition at On Point of inspired conversation and respect for a wide range of opinions,” said WBUR GM Charlie Kravetz in a press release. Chakrabarti has hosted WBUR local talk show Radio Boston since 2010 and has served as permanent fill-in host for the nationally distributed Here & Now for five years. She also hosts Modern Love, a production of WBUR and The New York Times, which she will continue hosting. Folkenflik will continue in his role covering the media for NPR. Distributed by NPR, On Point airs on 271 public radio stations. A report found Ashbrook responsible for an abusive culture at the show. No one has really been as good as Tom Ashbrook. Too bad he’s out of the picture.